Romana Kryzanowska and her daughter, Sari Meija, both taught by Joseph Pilates himself, personally train and certify every True Pilates instructor. 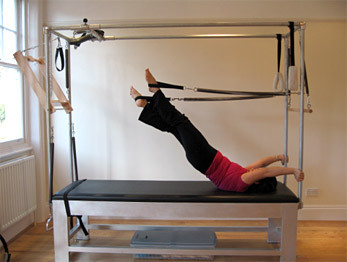 Our training involves working with every piece of apparatus and matwork in the system, and working the whole body. The apprenticeship entails a minimum of 700 hours of in-studio training, observation, teaching and three sets of very demanding exams. After certification, instructors are required to participate in continuing education workshops to ensure quality and progression. Patricia Lee is personally trained and certified in New York by Romana Kryzanowska and Sari Meija, both trained by Joe & Clara Pilates, both former dancers under George Balanchine at the New York City Ballet. After having practised Pilates intensively for several years in London and Paris, Patricia then specialised in the True Pilates Method while living in Paris. Her passion for the True Pilates Method prompted her to dedicate two years of intensive training and teaching at the Studio Pilates de Paris, and True Pilates New York. 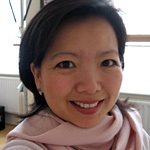 Prior to a life of Pilates, Patricia, a Canadian and French national of Chinese origin, worked internationally as a diversity consultant, a human rights advocate, and enjoyed modern jazz dance for fun.